Stargazer is an 80 ft luxury sailing yacht and comes complete with a professional captain, chef and stewardess. One Master Suite and two Double Cabins, all with en suite facilities. All-inclusive breakfast, lunch, dinner and beverages. Snorkelling, scuba diving, kayaking, paddle boarding, fishing, whale watching, swimming with dolphins, marine life observation. It is where the Sonoran Desert meets a clear blue ocean that is teeming with life - colonies of playful and mischievous sea lions, flying mobulas (manta rays that leap out of the water), endemic species of reef fishes (that only occur in this part of the world), large colonies of seabirds nesting and soaring overhead, humpback whales breaching, and blue whales and large schools of dolphins cruising past. 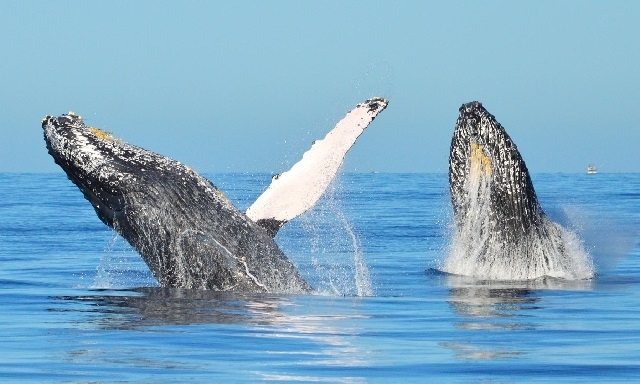 The cruising waters range from Cabo San Lucas to San Jose Del Cabo to La Paz and north to Puerto Escondito and Loreto. Many beautiful islands are only a short distance from La Paz, the yacht’s base of operations. Charters can begin or end at any of the above-mentioned locations. Prior to your vacation, Captain Cactus will suggest an itinerary tailored to your preferences. You may have the opportunity to take the wheel if you wish, or simply sit back, relax and enjoy all of the pleasures that the islands have to offer. Deserted beaches abound in the region. Nudist Sailing Vacation is a US company with its offices in Lake Tahoe, CA. Captain Cactus is a Master Mariner with 25 years’ sailing experience in the region. Mate Betsy has 15 years’ experience as a charter yacht chef and hostess, assisted by ‘jack of all trades’ stewardess Sheri.